Whether your a food truck owner or potential renter, our checklist and sample rental agreement should help you think through the transaction. For example, who’s responsible for maintenance, what happens if there’s an accident, when is payment made, etc. If you have legal needs beyond our food truck rental contract and checklist, please feel free to contact Hiller Counsel, a law firm specializing in issues pertaining to food trucks. Please feel free to contact us with any question as well. 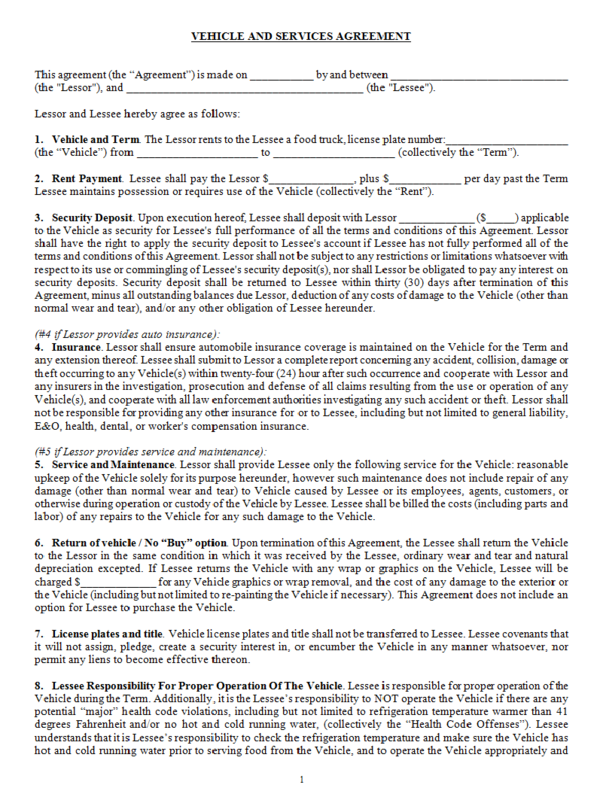 As the time comes to make a decision on renting a truck, we hope this checklist and sample rental agreement will help make the process smoother.